Multi-award winning documentaries on stories of real life, real people and real events. With over 1,500 documentaries available, dating as far back at 1954 to the present day, immerse yourself in sound, story and character. RTÉ's flagship news and current affairs radio programme and the most listened-to show in Ireland. Live from 7 to 9am every weekday with the latest news and analysis, sport, weather and traffic. Do you have a story you would like to tell or a grievance that you would like to air? Talk to Joe Duffy. Drivetime on RTÉ Radio 1 with Mary Wilson features the day's top news, current affairs and sports stories. Mary, with an experienced team of producers and journalists, explores the issues of the day asking tough questions and seeking answers. Arena features guests and items from the worlds of movies, television, music and literature. An all-talking, all-singing, all-human-life-is-here show with Miriam O'Callaghan as master of ceremonies. Ireland's most popular weekend radio programme, Marian Finucane entertains listeners with in-depth interviews, compassionate highlighting of human interest stories, lively panel discussions and consumer issues. Sarah McInerney brings you live debate, in-depth interviews, analysis of the political stories of day and discussion on international issues. Damien O'Reilly and the CountryWide team feature the events, people and happenings that bring colour and life to communities, towns and villages across the country. Guaranteed quality radio - that's because Playback is a compilation of the best of the week's radio. Playback is presented and produced by Ronan Kelly and Sinead Mooney bringing you nuggets from right across the schedule, from day time chat to night time. Presented by Con Murphy and Jacqui Hurley, Sunday Sport is the quickest and the most comprehensive sports coverage on Irish radio. Derek Mooney and guests explore the natural world in all its forms. A weekly opportunity to hear the best new Irish dramatic writing for radio in the country. The Business is a full hour on business and enterprise in Ireland, with a sprinkling of personal finance and consumer info. Real business is the stories of the real people who actually start up, run and work in enterprises in Ireland. A mix of 'music and musings' that continues to be as fresh as ever with contributions to the programme coming from open submissions and commissioned work, with new voices complementing more established writers on the programme. Seascapes is the Maritime Programme for This Island Nation, covering all aspects of the marine sector. Presented by Fergal Keane, the programe provides comprehensive coverage of all aspects of the marine sector. The latest news and an analysis of the week's events. Weekly new and feature reports from correspondents from around the world. Join Brendan O'Connor each weekday morning from 9.00am to 10 am, Monday to Friday on RTE Radio One. Listeners can expect entertaining, lively conversation and invigorating debates. Vincent Woods explores the relevance and importance of county identity, loyalty and cultural expression in Cavan, Monaghan and Roscommon. 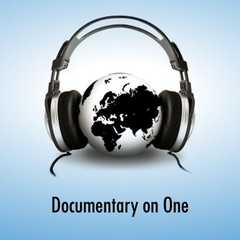 A compilation of documentaries produced by Derek Mooney. Presented by Sinead Gleeson, the Book Show celebrates books and the world of writing with readings, discussion, author interviews and special features. The book programme in which a carefully selected panel of contributors are set loose on one topic or individual. Each week in this series, presenter Miriam O'Callaghan interviews two individuals who have a strong and deep-seated connection, whether through family, business or otherwise. The Media Show goes behind the big media stories from the world of broadcast, print and online, to focus on how our daily media diet is shaped. This ten part radio documentary series sees Emmy Award-winning wildlife cameraman and television presenter Colin Stafford-Johnson turn his talents to radio. Each week in this new series we meet a person whose life is out-of-the-ordinary because of physical or emotional challenge.